I expect 2019 will be a very good year for Las Vegas & Henderson New Home builders, despite the volatility of the stock market and all the talk of recession. The California Exodus is one of the big factors driving the Las Vegas and Henderson real estate markets. People are moving here in droves. When you drive around town, it seems every third license plate says CALIFORNIA. Our Team sells more than penthouses, so I thought including a NEW HOMES BLOG and LINK on this penthouse site, would be of interest to those looking to relocate here. It’s always good to compare what you can get for your money, and with high rise condo inventory on the lower price points, $400k and below being so limited, potential buyers may be interested in some of the new homes being built within a 15 to 20 minute drive of The STRIP. 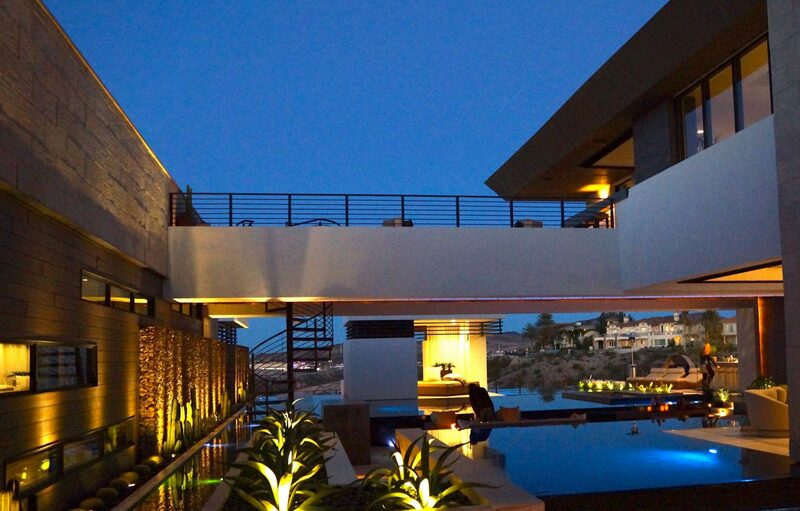 New Las Vegas homes are offered in all designs – with desert contemporary being in high demand. Because of the activity in Las Vegas Valley real estate – a new build can take 8 months from time of contract to completion to over a year. There are deals on “standing inventory”. We receive daily updates from the NYSE homebuilders on standing inventory deals. Our Team has been selling new homes in Las Vegas, Summerlin, Green Valley, Anthem in Henderson and Lake Las Vegas for over 2 decades as of 2019! We can really assist Buyers in lot selections, option choice, structural upgrade option advice, building inspector supervision, etc. The new home builders pay ALL our fees, so our services are free to our clients. Oftentimes, we can negotiate builder incentives for you, especially if the builder’s agent understands that you are shopping competitor’s communities. the link above permits you access to research new home communities in Las Vegas and Henderson. ***Please know, that in order for us to be able to represent your interests, a member of The Stark Team, needs to accompany you on your first visit to the builder. We have a few builders, where we can set up your appointment for you, and that will suffice for the first visit. CONNECT WITH US to EXPLORE THE POSSIBILITIES OF OWNING A NEW LAS VEGAS OR HENDERSON HOME. This entry was posted in Las Vegas New Homes and tagged Henderson NV New Homes, Las vegas new Home Communities, Las Vegas new Homes. Bookmark the permalink.